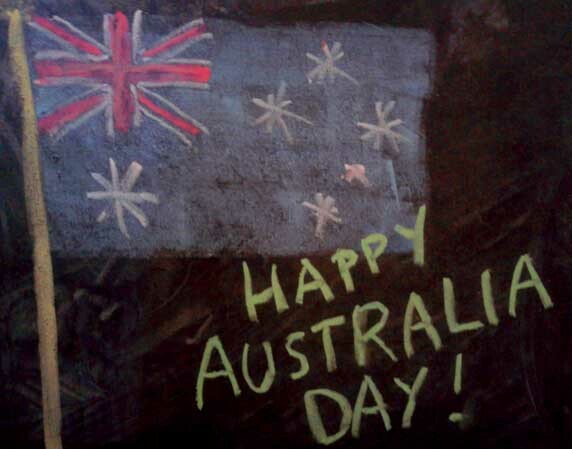 Happy Australia Day (for yesterday) to all the Aussies out there! We looked at maps of Australia in our atlas and E learnt where on the map we, and other relatives, live. She also learned how to locate Australia on her new globe. I printed out a simple map of Australia that showed the state lines. 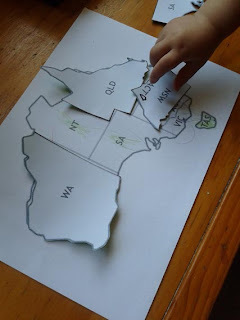 E coloured it a little and then I gave her cut-outs of each state (on thin cardboard) that she could place on the map as a puzzle. This also helped her to start learning the names of each state and territory. 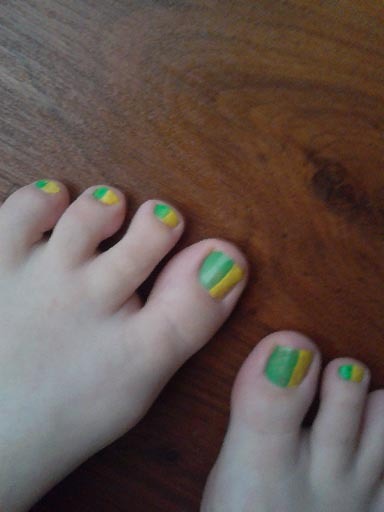 We did some activities based on the Australian flag. E made a paper flag using this puzzle from Lessons Learnt Journal and some glue. 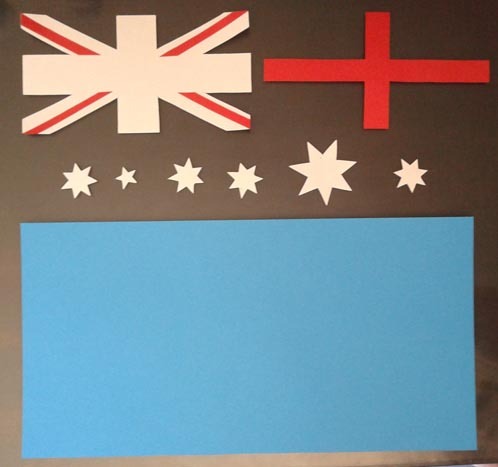 I also made a slightly more detailed flag puzzle using thin cardboard. I printed a series of Australian flags in different sizes so that E could sort them from biggest to smallest or smallest to biggest. She found this activity fun, but easy. Lovely Living do some great, free printables. They do ask that you donate to one of their preferred charities using links on their page. 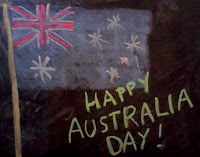 Together, E and I made their Australia Day Bunting and hung it in the window above E's desk. I printed this little Australia Day book to take along. E and another little girl coloured it together. I hope all Australians are enjoying the long weekend. Great ideas! I should have done something like this!